Chinese witch hazel has an upright spreading shape. 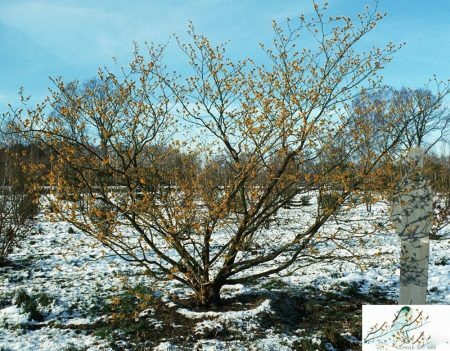 Hamamelis mollis is particularly noted for its strongly fragrant bright golden-yellow winter flowers, attractive medium to dark green summer foliage which turns yellow in Autumn. Flowers typically bloom in late winter and early spring.